Which of the following do you think represents the best value for money? Besides the fact that you would really need to love mangos to splash out 6 bucks for one, the first thing that came to mind was that you can grow hundreds of lemons over decades, for less than the cost of 3 mangos. All a lemon tree requires is a nice sunny spot, plenty of damp mulch for those surface roots, and the odd bucket of dissolved coffee grounds. And maybe serving as the garden urinal from time to time is good also! 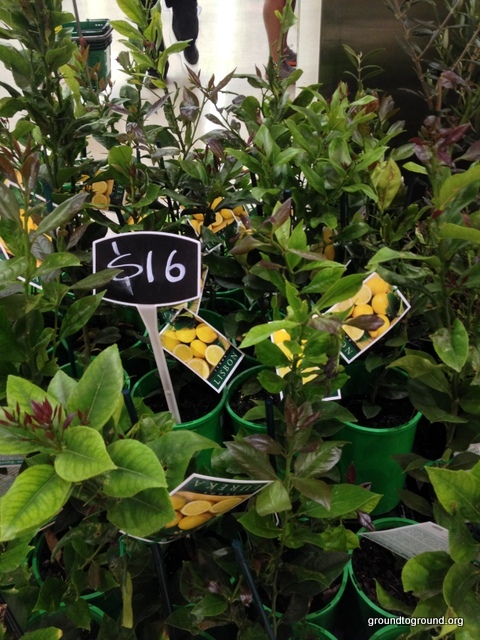 So what do you think – is the lemon tree mightier than the mango? Tags: garden, lemon tree, mango. Bookmark the permalink. Yes they are. In Melbourne we can’t get them grow under normal conditions so rely on the Northern states for these. I was up there recently and they are all over the place. 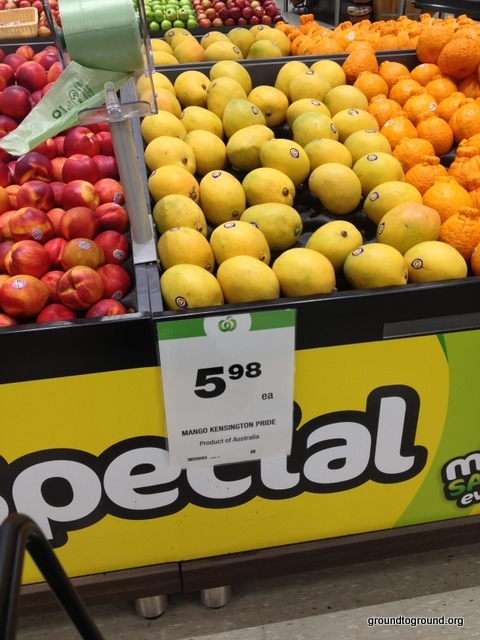 I would expect they would be even less likely to spend $6 on a single fruit.